Shares of the San Francisco-based cloud solutions provider were lower in mid-afternoon trading on Monday. The team rates as a Hold with a ratings score of (CRM) a HOLD. The primary factors that have impacted the rating are mixed - some indicating strength, some showing weaknesses, with little evidence to justify the expectation of either a positive or negative performance for this stock relative to most other stocks. The downturn in the mining industry has been blamed for a 23-year high in the office vacancy rate in Perth. A report by forecasting firm BIS Shrapnel has revealed 22 per cent of office space in the central business district is empty. That is the highest vacancy rate since 1993. Rents have also collapsed, falling by more than 40 per cent since the peak of demand for office space in 2012. BIS Shrapnel commercial property project manager Lee Walker said the vacancy rate had not peaked and the downturn had at least two more years to run. "Demand for office space is closely linked to the resources cycle and we've seen sustained resources investment for close to a decade, but now a number of the projects have come to an end," he said. "Particularly in iron ore and now in LNG and there are no new projects to replace what is winding up." Mr Walker said the situation would get worse over the next two years as office space under construction is completed, such as Woodside's 55,000 square metre headquarters in mid-2018. "On our forecast we don't see any strength of demand for office space for at least the next two years, so there is still a lot of pain ahead for office builders in Perth," he said. The weak demand for offices has also led to a big drop in rents. Net effective rents take into account leasing incentives landlords offer tenants to try to rent office space. Mr Walker said during the boom, landlords were not offering incentives, but they have been forced to in the current climate. "It's certainly pretty bad in the Perth office market and we think the downturn is far from over," he said. "Other commentators are saying we are close to the bottom, but we don't think so. There is at least another couple of years in this downturn to come." 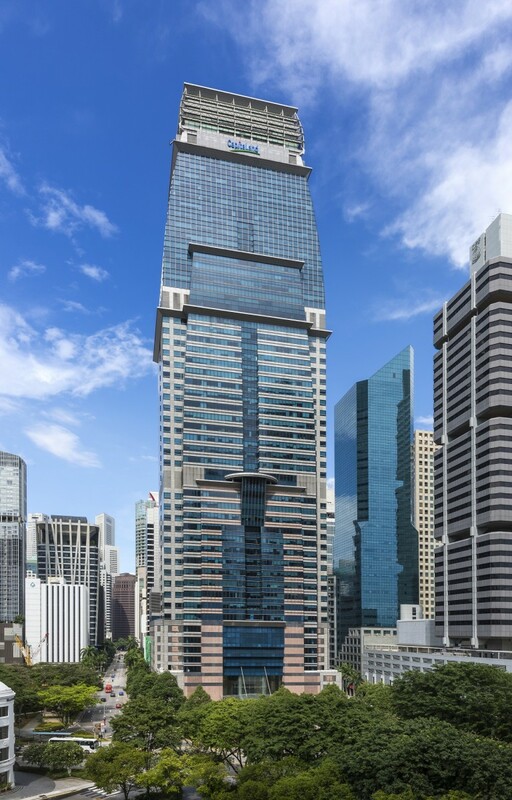 Collective Works is now on the radar of most office landlords in the CBD when it was announced on March 23 that developer CapitaLand has formed a 50:50 joint venture (JV) with the coworking space operator for a new 22,000 sq ft premium centre on the 12th floor of Capital Tower. The 254m-tall, 52-storey Capital Tower is a landmark office building at the corner of Cecil Street and Robinson Road. According to CapitaLand Singapore CEO Wen Khai Meng, its aim is to create a test bed for premium coworking space at Capital Tower, and it will be the first such offering in a Grade-A office building in the CBD. When the space is completed in June, it will be able to accommodate 250 companies. According to Wen, the JV company will lease the space from the landlord, CapitaLand Commercial Trust, at market price on commercial terms. Collective Works, a coworking pioneer and leading operator in Singapore, will manage the space on behalf of the JV, he adds. O’Byrne sees coworking as a way of exploiting the inefficiencies in the traditional office space to create greater efficiencies and optimising its use. Collective Works is typical of the small high growth companies it targets as members in its coworking space. 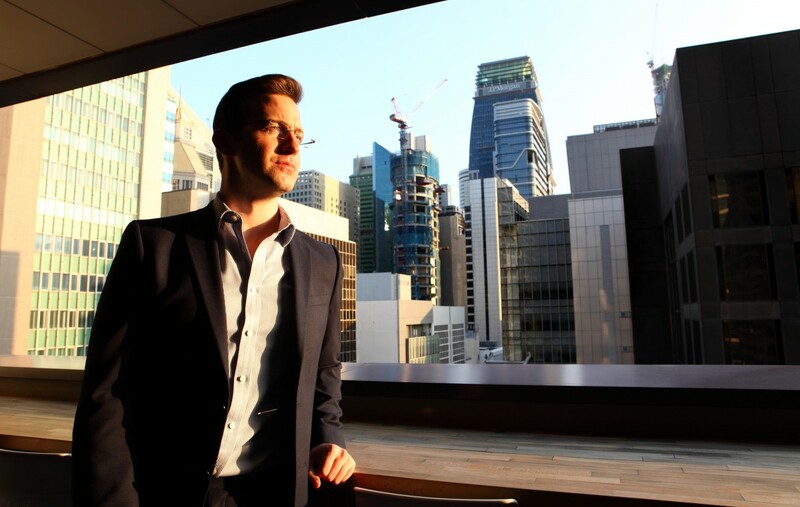 Thirty-year-old O’Byrne continues to work out of his coworking space at The Globe, a 15-storey Grade-B office building at the junction of Cecil Street and Boon Tat Street, where he first started the business in December 2012. Capital Tower into a high-end co-working space. As a coworking space operator, Collective Works signs a master tenancy agreement with the building landlord and fits out the space as well as the add-on facilities and services. It assumes the real estate risks. But it derisks the real estate holding costs for the users, says O’Byrne. The master lease is fractionalised and sold as a membership based on a monthly subscription. For instance, coworking memberships at Collective Works starts from $240 per person a month for hot-desking. Dedicated memberships are from $800 per person a month, while premium memberships that include the use of private studios start from $1,000 per person a month. Members of Collective Works will be able to use all future locations in the Collective Works Network. Members will also be able to use the other shared spaces, such as meeting rooms, video conferencing facilities, the pantry/ coffee bar and the lounges, as well as have access to events and the British Chamber of Commerce network. “I started Collective Works because I saw isolation being one of the major challenges of small businesses and found a way of fixing it,” says O’Byrne. He came to Singapore in 2010 at the age of 24. Prior to that, he worked for two years as a communications specialist for an industrial corporation in Oman. When he was shopping for office space, he started thinking of ways he could derisk the whole process of getting an office space, without the upfront costs and being tied down by a two- or three-year lease. After searching for six months, Collective Works started with just one floor — the 14th level of The Globe. To start Collective Works, O’Byrne shut down the profitable NuCo and put all the money as well as his entire savings into the coworking business. “It took everything I had,” he recounts. That was in 2012. “We opened with no clients, but I believed that this coworking space had to exist,” he adds. By June 2013, the floor was full, and within the next 24 months, the company had taken up five floors with total space of 11,000 sq ft. Today, its membership at The Globe is almost fully subscribed. It now occupies about 25% of the office space at The Globe, making it as big an anchor tenant as Thai Airways, which occupies the first three levels of the building. He has continued to reinvest in the business over the years and is constantly looking at ways to optimise space use. Given the high cost of real estate in Singapore, “it’s incredibly wasteful to have parts of a floor that are unutilised”, he says. Some of the high-profile start-ups at Collective Works include online restaurant reservation app Chope, which secured its Series B funding while at the coworking space at The Globe and moved out after nine months when it outgrew the space. ReFUEL4, a technology partner of Facebook, has been at Collective Works for over two years. The company was co-founded by Singaporean Vernon Vasu, a lawyer by training, an ex-civil servant with the Health Promotion Board, former managing director of Batey Ads Malaysia and, prior to that, a specialist in trade policy at the Information Development Authority of Singapore. Larissa Murphy, co-creator of Contrast Global, a design firm that specialises in commercial office space, is also operating out of Collective Works. Murphy was previously a director of HBO+EMTB. “We chose coworking because we think that in the future, everybody will work in such spaces,” she says. Founded in June last year, Contrast Global has been working out of Collective Works at The Globe since last September. “It’s much more cost-effective,” says Murphy. Besides Collective Works, other coworking operators include JustCo at 120 Robinson Road and 6 Raffles Quay, The Hub Singapore on Prinsep Street and The Working Capitol on Keong Saik Road. Government agencies are also in the coworking space. For instance, JTC and SPRING Singapore, which launched JTC Launchpad for incubators and start-ups in the biomedical, IT and media industries at one-north. It is also known as Block 71 by its tenants and expects to house 750 start-ups by 2017. “There’s a market for coworking globally and certainly in Singapore,” adds Archibold. However, he feels that the coworking segment in Singapore is limited by a number of factors, including the limited population and “a bit of the iron rice bowl mentality” as the preferred jobs appear to be in the civil service sector. For developers and major office landlords in Singapore, the priority will still be to lease the brand-new Grade-A office space to blue-chip corporate tenants, says Peter Andrew, CBRE director of workplace strategies in Asia. However, landlords are more willing to look at how they can reposition their Grade-B or Grade-C buildings and to give it an edge to differentiate the space. “But the coworking market is price-sensitive and the operators are not necessarily going to have the big bucks,” says Andrew. Keppel Land has introduced a 6,400 sq ft hybrid serviced office and coworking space at Keppel Towers in Tanjong Pagar. It offers flexible shared office space ranging from fully furnished office suites to hot-desking workstations on short- or long-term leases. What will really affect the evolution of coworking space is a mobile application that can connect people who want a coworking space for a day, a week or a month. “If there’s an app that can list all the coworking spaces similar to Uber or Airbnb, where you can choose the one that you want, book it and pay for it, that will be quite transformational,” says CBRE’s Andrew. While coworking space is not going to solve the vacancy issue in the office market, it will encourage a move towards greater efficiency, adds Andrew. Currently, in Singapore, about 80% of the coworking space is outside the CBD. “In terms of the impact on office leasing and rents, it is largely a space filler in office spaces, mainly Grade-B buildings,” he says. Nevertheless, O’Byrne of Collective Works is confident that coworking will grow exponentially in Singapore. He sees Singapore as an ideal hub in Asia-Pacific for financial technology companies, which will require coworking spaces. This article appeared in the City & Country of Issue 723 (April 11, 2016) of The Edge Singapore. There are lots of clients always asking for serviced office in Hong Kong, serviced office in Central, serviced office in Tsim Sha Tsui nowadays. But why? It's is more and more common as because the serviced office is able to provide full range of service in terms of fitted decoration, furniture, all inclusive package, telephone service, wifi internet service ...etc. Regent Property provides professional service to clients to rent nice and good quality business centre which offer good quality serviced office service for tenant. 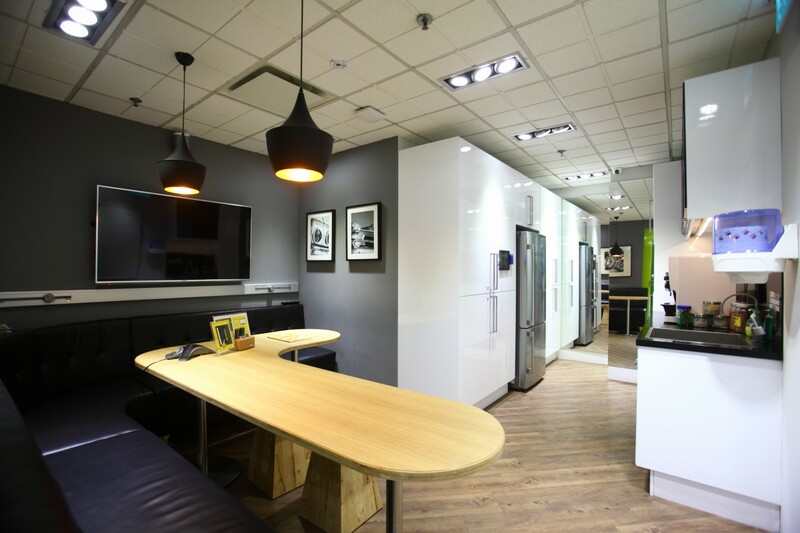 中環寫字樓是最多甲級寫字樓的地方, 有最高級的Serviced office in Hong Kong. 花旗銀行廣場 新商務中心 - 金鐘開幕! 到Regent 可以了解全香港寫字樓出租資料, 所有迷利辦公室, 會議室等資料齊全! wherever you're based, Business Centre nearby offering serviced office service and high quality business centre services to help your business succeed. From historic cities to modern business centre parks and transport centres, we offer complete, flexible working wherever you want to be. Serviced office is all what you need and want for doing business worldwidely. How you find your Hong Kong Office space in Hong Kong or Hong Kong Property in Hong Kong? Ofcourse, all of us wanna to find a good premises, a good place to rent or buy whether is Hong Kong Office or Hong Kong Property. To know more about the specification of Hong Kong Office or Hong Kong Property is very difficult as the information is not then easy to reach out. So thats why Hong Kong Office Consultancy, Regent, is definitly helpful and professional in assisting consumer or buyer to select the best of Hong Kong Office or Hong Kong People. Hence, the tech. of looking for Hong Kong Office or Hong Kong Property, is how to find a profeesional consultancy in order to reach the detail of selected premises. And thats is why Hong Kong Office consultancy is that important to everyone. Hong Kong Office rents in Central may fall by up to 20 per cent within the next 18 months as the market adjusts to an abundant supply of vacant space in Hong Kong's prime commercial precinct, say some property brokers. An exodus of tenants to outlying commercial districts where rents are up to 50 per cent lower, combined with a contraction in demand for office space from the banking and finance sector, has left more than one million square feet of grade-A space unlet in the city's core business district, they say. Mark Bernard, managing director at OfficeAsia TCN Worldwide, which focuses on Hong Kong office leasing, expects grade-A Hong Kong office rents could tumble by 20 per cent over the next 18 months considering the large amount of space available on the market. Many small hedge funds that were formerly able to pay high rents have since been forced by the global financial crisis to close their offices, said Bernard. "Some office floors in premium grade-A Hong Kong office buildings in Central have remained empty for more than a year because landlords have been reluctant to cut rents," Bernard said. Denis Ma, local director for Greater Pearl River Delta research at property consultancy and brokerage Jones Lang LaSalle, agreed that a large amount of space remained unlet in Central, but questioned whether this would lead to further big falls in rents since he expected demand could return given the major correction in rents that has already been seen. Although there was an estimated 1.1 million sq ft of unlet office space, the situation was not as bad as it was in 1998 and in 2003, said Ma. "In 1998 there was 3.4 million sq ft of Hong Kong office space available for rent, and in 2003 there was some 2.5 million sq ft available," he said. The vacancies in 1998 were aggravated by the Asian financial crisis, and those of 2003 by the release of new Hong Kong office supply in the Two IFC project. Central tenants have been lured to alternative Hong Kong office accommodation in Causeway Bay and Quarry Bay, where rental agreements are being transacted at rents that are half to two-thirds of Central rents, said agents. Gary Fok, executive director and head of commercial department at international property consultant Cushman & Wakefield, said the take-up of office space in new lease agreements in Central fell to 174,000 sq ft in the third quarter of this year from 399,000 sq ft in the previous quarter. "The available leasing space now left in the market is equivalent to two-thirds of the space in Two IFC," he said. The adjustment had changed the profile of the rental market in Central, added Fok. Medium-sized companies that signed up for 5,000 to 7,000 sq ft of space now dominate new lease agreements, whereas banks and financial institutions previously rented tens of thousands of square feet. Landlords are bracing for the possibility that vacancy rates in Central could spike if Champion Real Estate Investment Trust fails to renew leases with two major tenants. It is in talks with Citibank and ICBC, which are anchor tenants of Citibank Tower and ICBC Tower, as their leases are due for renewal in October next year. Average effective office rents in Central were down 23 per cent from the previous peak of HK$125.70 per sq ft two years earlier, at HK$96.70 per sq ft in the third quarter, according to data from Cushman & Wakefield. Ma at Jones Lang LaSalle said he did not expect further "significant" corrections in Central because rents had already fallen sharply and the vacancies were confined to a few buildings. A digital technology company focusing on the events industry is setting up an office in Hong Kong to better serve its clients in Asia. The announcement comes as UK-based GenieConnect also secured a parnership with exhibition organiser association UFI to develop mobile apps for its future events. Giles Welch, CEO of GenieConnect, says the new office will enable the company to work more effectively within the same time zone and meet the growing demand for event technology..
“We have the sales and client services in place to ensure we can meet demands in this area and opening this Hong Kong Office will mean we have the resources and cover the time zone to support our customers fully. Thus, we can continue to supply event organisers with technology that enhance and personalize attendee experience and collect actionable event insight,” says Welch. Genie Connect provides engagement solutions through apps and web portals for event organisers, corporations and associations to measure and improve attendee experience. Their tools also drive matchmaking, networking and one-to-one meeting management and automated event marketing. Welch says the Hong Kong office is a direct result of the company’s growing customer base and rising demand for intelligent event technology in Asia. GenieConnect was established in 2010 and has since provided digital solutions for over 1,000 events across the world. This year, it won the EIBTM Technology Watch award. The Hong Kong Economic and Trade Office, Berlin (HKETO Berlin) embarked on its journey to stage Hong Kong Office Film Festivals in Central and Eastern Europe. More than 200 guests from the government, cultural and business sectors attended the reception in Kommunales Kino Metropolis yesterday (October 8, Hamburg time) to celebrate the opening of the Hong Kong Film Festival in Hamburg from October 8 to 14. Following the reception, the opening film "Floating City", an intriguing melodrama directed by Yim Ho and starring Hong Kong movie stars, Aaron Kwok and Charlie Young, delighted the audience. In co-operation with Kommunales Kino Metropolis, the HKETO Berlin presents seven contemporary Hong Kong movies at this year's edition of the Film Festival including the 1930 gangster epic "The Last Tycoon", the touching independent production "Fig" and the award-winning thriller "Cold War". In 2012, 16 Hong Kong movies won international awards, among them "Cold War", "Vulgaria" and "The Silent War", all to be screened in the coming days. At the 68th Venice International Film Festival, the film "A Simple Life" received the Volpi Cup for Best Actress for Deanie Ip and Wong Kar-wai's epic martial arts drama "The Grandmaster" was selected as the opening movie at the 63rd Berlin International Film Festival 2013. In his welcome remarks, the Director of HKETO Berlin, Mr Ivan Lee, encouraged Hamburg's film production companies and filmmakers to take advantage of the unique opportunities in Hong Kong: "Hong Kong is embracing creative input of both East and West. I encourage German companies, not least those of you in the creative industries, to use Hong Kong as the super-connector between China and the rest of the world." Mr Lee further emphasised the importance of the strengthening collaboration between Hong Kong's film industry and Mainland China's film studios: "Hong Kong office offers technical know-how and great actors while benefiting from Mainland China's financial and location resources". This co-operation is supported by the Mainland and Hong Kong Closer Economic Partnership Agreement (CEPA), which expands Hong Kong's access to the Mainland's movie market. Hong Kong also regularly hosts important film-related events such as the Hong Kong International Film Festival and the Hong Kong International Film & TV Market. They are usually held in March or April every year. Another Hong Kong Film Festival will be held in Berlin from November 14 to 17. Furthermore, the HKETO Berlin will support the Hong Kong focuses of the Five Flavours Film Festival in Warsaw (November 4 to 11) and the FILMASIA in Prague (November 28 to December 1) this year. The HKETO Berlin is the official HKSAR Government representative in commercial relations and other economic and trade matters in Germany as well as Austria, the Czech Republic, Hungary, Poland, the Slovak Republic, Slovenia and Switzerland. Rocky Chan Lok-ki of Ming Kei argues the affirmative side. One of the most discussed topics recently has been whether Hong Kong property should be reserved for Hongkongers. Debaters from CCC Ming Kei College and Ying Wa Girls' School met in the third round of the 14th Nesta-SCMP debating competition to debate the motion "that only residents should be permitted to buy housing in Hong Kong". The team of Form Five students from Ming Kei - Cynthia Chan Hei-yi, Joe Law Yiu-man and Rocky Chan Lok-ki - supported the motion, and the team from Ying Wa - Mathilda Kwong Yuan-shang, Hilda To Hing-ka and Shirley Lam Hiu-tung - took the negative side. The debate was held at CCC Ming Kei College on February 5. Stephen Farmer, a teacher from Pui Tak Canossian College, was the adjudicator. After both teams produced convincing arguments, Farmer awarded the victory to Ming Kei because they had a clear team line and stronger teamwork. "The first speaker did a good job giving the team line, and the other speakers were able to further develop this with convincing arguments," he said. "The first speaker of the negative side did not come up with a team line." The definition of "residents" in the motion was a key to the affirmative side's more convincing argument. The negative side argued that limiting foreigners' rights to buy property in Hong Kong amounted to discrimination. But the point was quickly shot down by the affirmative side, who defined the term "residents" as people who work and live in Hong Kong. "We are not discriminating against people from any background or race," said Joe Law, Ming Kei's second speaker. "Residents can come from anywhere in the world, as long as they are legally living and working in Hong Kong." The issue of whether it was fair to allow only residents to buy flats was another point that both sides discussed in depth. The affirmative side said only local residents who had contributed to the economy of Hong Kong should be allowed to buy property. They condemned foreign speculators for pushing up property prices at the expense of local residents. The negative side rebutted this, saying it was unfair to blame high property prices on foreign speculators, because there were many local speculators in the housing market, as well. They also pointed out that foreign buyers made up only a small percentage of property investors and eliminating them would do little to lower property prices. The contest, which is sponsored by The Edge Learning Centre, is organised by the Native English Speaking Teachers' Association, and the South China Morning Post. In his budget speech earlier this year, Financial Secretary John Tsang Chun-wah painted a grim picture of Hong Kong's economic future, and of the outlook for the government's finances. "With an increase in the number of the elderly, a shrinking working population, reduction in the number of taxpayers and decelerated economic growth, I expect that the growth of government revenue will drop substantially if our tax regime remains unchanged," he warned. "Meanwhile, expenditure on welfare and health care will soar. We may not be able to make ends meet." Tsang quickly ruled out plugging the gap by drawing down the government's accumulated reserves, which if you include the exchange fund's accumulated surplus and the sums squirrelled away in accounts like the lotteries fund, now amount to some HK$1.5 trillion. "Recurrent expenditure must be funded by sustainable revenue," Tsang declared, saying he would set up a committee "to explore ways to make more comprehensive planning for our public finances". Many observers concluded that Tsang was paving the way for another government attempt to impose a goods and services tax on the city. But there are far better ways to retool Hong Kong's revenue regime to meet the demands of future health and welfare spending than hitting the population with a tax that it has already been rejected once before. One obvious way would be to change the way the government raises money from Hong Kong property market. Last year, the government raised HK$85 billion, a fifth of its total revenues, from property sales and land premium payments, the fees developers pay for a change in land use. Yet, although these are major income sources, the government is reluctant to use the money, classifying it as capital revenue, and insisting it can only be spent on capital projects. That might have been a sensible attitude in the 1970s, when Hong Kong badly needed infrastructure investment. But these days the artificial distinction between recurring and capital revenues looks out of date, leading the government to lock away vast sums of public money while prompting officials to waste a fortune on gold-plated construction projects like the Zhuhai bridge, for which there is little, if any, demand. Instead of booking its land revenues as capital income - which it then fritters away on wasteful investments that will never generate a positive economic return - the government should move away from demanding up-front lump sums from developers and towards collecting steady revenue streams over the whole lifetime of property projects. There are several ways it could do this. One suggestion is for the government to turn to a property value tax, which would be set as a percentage of current market value, to be paid annually by property owners. In effect this would mean raising existing property rates from their current 5 per cent of annual rental value to, say, 20 per cent. That would provide a steady income stream, and with the gain in recurring revenues offset by lower land premiums, it would encourage Hong Kong property barons to develop more of their land banks. But there are disadvantages to the idea. Firstly, replacing a hidden tax on householders, which is what land premiums amount to, with a visible tax in the form of higher rates would be highly unpopular, even if there was no net change in government revenues. What's more, the government would be able to change the tax rate arbitrarily, which would discourage private investment. And any investments that increased nearby land values, like a new MTR rail line, would penalise existing owners who chose not to cash in. A better solution would be the one outlined by governance watchdog David Webb, who three years ago called for the government to abandon lump-sum land-premium payments in favour of collecting regular rental income from leaseholders. With the terms fixed in advance, annual rents would not be subject to arbitrary change (although they would still be linked to rateable values). In addition, by lowering the barriers to entry in the real estate market, switching from premium payments to regular rents would increase competition among developers and, consequently, reduce home prices. Above all, by emphasising rents over up-front lump-sum payments, officials would no longer be sucking money out of Hong Kong's economy either to lock it away as unneeded capital reserves or to waste it on unnecessary building projects. Instead, the government would secure a steady revenue stream which is largely immune to swings in the economic cycle; just what it needs to fund the future welfare obligations John Tsang is so worried about. The billionaire Kwok brothers’ corruption trial was adjourned on Friday until January to allow the prosecution more time to gather evidence in Hong Kong's highest-profile graft case in decades. The Independent Commission Against Corruption (ICAC) arrested the tycoons in March in one of the agency’s biggest investigations since it was set up in 1974 to root out widespread corruption in the government and police. Thomas and Raymond Kwok run Sun Hung Kai Properties, the world’s second-largest Hong Kong property developer by stock-market value. The Kwok family is Hong Kong’s second wealthiest after that of Li Ka-shing. Rafael Hui Hui Si-yan, the No 2 official in government from 2005 to 2007, was also arrested in connection with the case, as were Thomas Chan, an executive in charge of land acquisition at Sun Hung Kai, and Francis Kwan, a former banker. They are charged with a total of eight offences including conspiracy to offer advantages to a public servant between June 2000 and January 2009. The ICAC said the offences involved payments and unsecured loans totalling over HK$35 million (US$4.9 million). The five spoke briefly in court on Friday to say they understood that the case was being adjourned until January 25, to be heard at the Court of First Instance. No pleas were taken and bail was extended. The stakes are high for the Kwoks and the government, with Sun Hung Kai’s share price having fallen sharply since the scandal broke, while Hong Kong’s reputation for integrity has been hit by charges also brought against its former chief secretary. Prosecutors will likely seek swift progress to bolster the government’s anti-graft credentials amid creeping public concerns of overly cosy ties and accommodative policies towards property tycoons. A long-running saga within the dynastic Kwok family boiled over in 2008 when elder brother Walter was ousted as chairman of Sun Hung Kai Properties by his brothers amid claims he had bipolar affective disorder and was not fit to lead the company. The firm, previously regarded as one of Hong Kong’s best-run companies and known for its quality apartments, responded to the arrests by promoting two executives and two of the Kwoks’ sons as alternate directors. Soaring rents are forcing cinema operators to downsize, relocate, or even shut down in prime districts, such as Causeway Bay. And the immediate outlook for the industry is likely to get even bleaker as some landlords opt not to renew tenancies of cinemas on ground- or lower-level floors in shopping malls, in order to relet the space to luxury goods retailers who can pay much higher rents, letting agents said. UA Cinema Circuit is reopening on the 12th floor of Times Square in Causeway Bay, having failed to secure the renewal of its lease on lower-floor premises with a street-level entrance; and at the IFC mall in Central, Palace IFC cinema and restaurants had little choice but to downsize or be edged out by luxury goods retailers after rents were raised by up to 40 per cent as leases came up for renewal. "Put simply, a cinema operator can't keep up with rental spikes along Russell Street in front of Times Square, which is now full of shops selling luxury goods mainly to tourists from China," said Jason Wan, senior account manager at Centaline Property Agency. "If you were a landlord would you rent high-premium premises on the street level to a cinema operator or go instead for luxury- goods retailers who can pay much higher rents? Besides, times have changed," he said, and rather than pay more than HK$100 to watch a 3D movie in a cinema, more and more people were now opting to watch movies in the comfort of their own homes with their family members. But cinema operators dismissed the dim view of the sector's prospects taken by agents. MCL Multiplex Cinema general manager June Wong said cinemas would continue to play a vital role in society as going to the movies was a form of social activity that would always appeal to many Hong Kong people. "The tradition among family members and friends of having fun together by eating out and going to the movies will always be there," she said. For landlords it was useful to have a cinema in their tenant mix, because they drew crowds, thereby helping generate customer traffic in the shopping malls in which they are situated, she said. "Before or after going to the movies, many movie-goers do their shopping or dining, and landlords recognise this crowd-drawing power of cinemas." UA Cinema Circuit general manager Chan Chi-leung said downsizings and relocations were actually a blessing in disguise for cinema operators, contrary to many expectations. "A relocation or revamp always uplifts cinemas, giving them a new life and refreshing the whole establishment." Relocating to upper floors did not have a negative impact on box office takings, Chan added, because patrons did not mind going up to a higher floor, especially if they had become accustomed to visiting a cinema in a particular building. Chan cited the case of the firm's cinema in Windsor House in Causeway Bay opposite Park Lane Hotel. The facility used to have seating for more than 1,000 people, but this has since been reduced to just over 200. "We've reduced the number of seats, but with new installations, including seats, projection equipment and a sound system, our Windsor House cinema enjoys the highest attendance among movie houses in Causeway Bay today," he said. Rising rents were also not the sole reason for cinemas to move to upper floors of shopping malls. "Cinemas actually don't need to be situated on lower floors. If people want to see a movie in their favourite cinema, they'll simply just go," Chan said. Chan declined to comment on media reports that UA Cinema used to pay a premium monthly rent for its lower-floor premises in Times Square. "Ten years ago it was necessary to have a cinema on a lower floor. But now that customers are used to going to our cinema there, they won't stop going and this is good for everyone. Our relocation will enable us to update our technology and create new facilities, and this is good for all moviegoers," he said. Rosella Lo, an account manager at Hong Kong Property, agreed that cinemas helped attract people to shopping malls, but said many people were averse to going to upper floors to visit a cinema. "Many will only be enticed to visit a cinema on the upper floors if they have a concentration of restaurants, which is what Times Square offers," she said. Lo said commercial rentals in Causeway Bay were now stagnant due largely to the property cooling measures adopted by the government early this year. She predicted that rents would remain largely unchanged in the Hong Kong Apartment,, a phenomenon which will be favourable to retailers. Looking ahead, Hong Kong Property, Wong said she did not foresee the entry of any new cinemas in the urban areas over the next few years. "No large shopping malls are being built in the urban areas so there won't be any new supply of cinemas," she said. While it was possible to convert old commercial or industrial buildings to accommodate cinemas, this was easier said than done. "In the absence of new shopping malls, this is an option that we might consider. However, we need various provisions, like sufficient ceiling height and a good configuration, especially stadium-type seating," she said. As a Hong Kong property reporter, I often receive questions from readers and friends about the Hong Kong property market. The most common question is whether now is the best time to buy a flat, but a 29-year-old man asked me recently whether he should spend his HK$1 million in savings on buying a home or starting up a new business. "Since I am a fan of music and coffee, it has been my dream to open a café where people can enjoy music and coffee together," he said. "I also hope to sell musical instruments and CDs at the café, if possible. I have been working and saving very hard to pursue this dream. "But when I discuss the plan with my parents, they are strongly opposed to it, saying retail rents in Hong Kong Property are too high, and thus the profit margin for a café will be too low. "They say I should use the money to buy a flat, instead." It is quite typical for Hong Kong parents to prefer their children to buy a flat than take the risk of starting a business. But let's look more carefully at the two options. First, what kind of home can one buy with a HK$1 million down payment in the present Hong Kong Property market? Assuming he pays about 30 per cent of the flat's price as a down payment, he will be able to borrow enough to buy a unit priced at HK$3 million or less. If he has a stable job and income, he could borrow more money and pay only 10 per cent of the flat price as down payment. Then he would be able to buy a HK$4 million home, for which he would have to make mortgage payments for the next 30 years. With a budget of HK$3 million to HK$4 million, he could buy a Hong Kong Property, for example, a 30-year-old flat with a gross floor area of about 400 square feet at City One Shatin or a 595 sq ft flat at Yoho Town in Yuen Long. "It really depends on what he wants to buy a home for - whether it is for his own use or as an investment," said Willy Liu Wai-keung, chief executive of real estate agency Ricacorp Properties. "If it's for rental income, the yield is now over 3 per cent per annum, which is definitely a better return than putting the money in the bank. "Starting up a business is about building a career, which can be something totally different. It can generate more income if he is good at it. But if he is just investing money in the business and asks someone to take care of it, it's more like a pure investment, and the profit margin depends on the type of business." Liu said the rent for upper-floor premises in Causeway Bay or Mong Kok could go as low as HK$30,000 to HK$50,000 per month. To me, buying a home for long-term investment seems to be the safer option, since I do not think home prices will drop significantly in the long term, while running a business always has its risks. However, if there were a chance that the music café business was sustainable, I think I would choose to pursue my dream if I were the 29-year-old man. That is an age at which one can face more risks and challenges. It is quite an achievement to have saved HK$1 million by this time, which may imply he can save even more if he continues to work hard. And he could still live with his parents. If he can find some business partners to share the risks and costs, and ideally start up the business during his leisure time without quitting his job, his HK$1 million could probably be used to run his dream business for a while, as it would cover rent and other costs for about a year. If the Hong Kong Property business wasn't looking good, he could always shut it down and cut his losses. Home prices could fall as much as 45 per cent over the next three to five years amid higher property taxes, rising interest rates and a bleak outlook for commercial property, says one real estate agent. Hong Kong Property, controlled by Midland Holdings, the city's only listed real estate agent, made the bearish forecast yesterday. "The property market has been severely hurt with sales volumes declining sharply after the introduction of the extra stamp duties," said Jeffrey Ng Chong-yip, senior executive director at Hong Kong Property. The city will enter an era of higher interest rates once the US Federal Reserve's curbs its stimulus, Ng added. Over the past 23 years, Hong Kong's mortgage rate has averaged 6.2 per cent, with an affordability ratio of 45.7 per cent. The measure is the ratio of mortgage instalment payments to household income. If mortgage rates increase from their current 2.3 per cent to 6 per cent, Ng said home prices would have to drop 27 per cent in order to maintain an affordability ratio of 45.7 per cent. With the government stepping up measures to cool the market, Ng said average monthly transactions in the secondary market could drop to 4,500, a level close to that during Sars in 2003. "In the worst scenario, home prices will drop by as much as 45 per cent," he said. The more than 10,000 people who bought homes at peak prices last year risk falling into negative equity, he said. Meanwhile, property consultancy Cushman & Wakefield forecast growth in rent for grade A offices in Hong Kong to slow to 0.5 per cent in the second half, from 1.4 per cent in the first half. Grade A office take-up would shrink to 1.2 million square feet in the second half from 2.1 million sq ft in the first six months of this year, the firm predicted. It also said rents in Central would bottom out toward the end of the year or early next year, after declining 3.5 per cent in the second half of this year. Prime grade A offices will drop about 4 per cent in the second half, it forecast. "Transactions will involve mainly small- and medium-sized companies which want smaller spaces of about 4,000 to 6,000 sq ft only," the firm's head of commercial properties, Gary Fok Cho-ping, said. Michele Woo Wing-sze, Cushman & Wakefield's head of retail, said retail rents had already peaked. Retailers had become more cautious in the last few months, with fewer new leases in prime locations and higher vacancies in secondary locations. Thousands of property agents marched to government headquarters at Tamar in Admiralty earlier this month to urge the government to withdraw Hong Kong property market measures designed to curb soaring prices.